'Forensic Investigation' is the new name for 'Crime and Investigative Studies'. Are you interested in crime, forensic science, and policing, but unsure which subject to study? If so, you will cover them all on our course. We combine the crime scene examination part of forensic science with other crime-related subjects, such as policing, and criminal justice. We will help you to understand both the theoretical and practical aspects of forensic and criminal investigations. We will look at the impact of various crime types on victims and how the police deal with the investigation to bring about justice. In the classroom, you will explore the investigative techniques used by police services, alongside contemporary issues including evidence based policing and crime prevention. You will also gain experience in dealing with a wide range of crime scenes, from burglaries to murders, including scenes of mass disaster and skeletal remains. Learning about the criminal justice system in the UK, you will find out how your investigation of different crimes can have a significant impact, and how you would need to present your investigative findings within a court of law. Our lecturers have first-hand experience of crime scene analysis, policing and criminal justice. As well as benefiting from their knowledge, you will have guest lectures from visiting professionals and get an understanding of the workplace through visits to places such as the Crown Court, and other field trips. 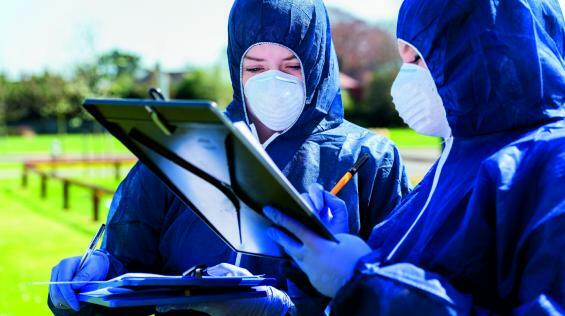 You will be taught by specialist practitioners with a range of expertise in Forensic Investigation. Field trips and guest lectures from a range of practitioners are embedded into the course. Industry standard equipment is used throughout the course. I am the Course Leader for the FdSc and BSc (Hons) Forensic Investigation degrees at University Centre Peterborough. I started lecturing at University Centre Peterborough in 2016 and use my industrial experience in Crime Scene Investigation and Photography to bring a ‘real world’ perspective to the course. I am highly experienced in my specialised field as I have 12 years’ experience as a Crime Scene Investigator for Cambridgeshire Constabulary, which saw me work on many major incidents and high profile cases while attending over five thousand crime scenes. I also have eight years’ experience as a freelance motorsport photographer making photography in any situation second nature to me. From an early age, I’ve always had a fascination with science and technology and combining this with the artistic element of photography is something I really enjoy. When my free time allows I still enjoy photographing motorsport events and keeping up to date with the advances in forensic science.